What causes snoring? The causes are plentiful, but it’s always a good idea to focus on tactics that are known to be effective in stopping it, such as buying special devices, changing your behavior or even undergoing medical procedures. It’s important to focus on putting an end to snoring b snoring can be a health risk to the snorer, as well as something that degrades the quality of life for anyone sleeping with a snorer. And life is too short to put health or quality of life at risk. Be sure to consult with a doctor if you snore regularly and have difficulty stopping, but also keep in mind these 10 ideas for putting an end to your snoring. Sometimes people snore because they sleep on their backs, which allows the tongue to relax too deep into the throat which limits the passage of air. Any time the passage of air between the throat and mouth is constricted, the body makes a noise that we call “snoring”. There’s good news if you’re one of the many people who snores due to back sleeping.First, you should know that you’re not alone. So many people deal with snoring. And, second, it’s also good to know that a snoring mouthpiece might be all you need for a solution. There are many names for what’s commonly known as a “snoring mouthpiece”. Some call it a “snore guard”, and there’s even a technical term called “mandibular advancement device”. No matter what you call it, this device can be essential to a small portion of snorers who snore for a particular reason. A snoring mouthpiece helps prevent the over-relaxation of the tongue by placing a sleeper’s jaw into barely perceptible tension. The lower jaw’s tissue and the tongue muscles are placed under slight tension, which prevents the tongue from slipping back and blocking the airway. You barely feel the snoring mouthpiece when using it. Plus, over time, you definitely get used to it. It can keep you from snoring without requiring too much effort. This won’t be the perfect solution for every snorer. But, if sleeping on your back and relaxation of the tongue are the primary issues, this might be the right thing to try. Snoring strips are a completely different solution that addresses a separate cause of snoring. Rather than addressing the tongue and the possibility of it relaxing too much, a snoring strip takes care of nasal passages and the possibility that they aren’t allowing air to pass freely in and out. Snoring strips are placed across the bridge of a sleeper’s nose. They are designed to lift and expand the nasal passage, allowing an individual to breathe more freely.. Scientific studies have found a significant correlation between the use of snoring strips and a reduction in snoring. When you want to know whether or not a tactic for stopping snoring will work, it’s always nice to have scientific evidence on your side. Again, this won’t be the perfect solution for all snorers. After all, there are many different causes of snoring, and this solution really only addresses a small portion of those causes. But, for the right snorer, using an easy-to-apply snoring strip could be the perfect (and simple) solution to a long-term problem. Why do people snore? There are tons of different reasons, including age, weight, medications and sleeping position. But did you know that simply using the wrong pillow can lead to snoring issues? If that never occurred to you, you’re not alone — many people overlook simple solutions like swapping out pillows. It’s all about alignment. For your nasal passage and throat to properly move air in and out of your lungs, your body needs to be properly aligned. If your body falls out of alignment for any reason, the flow of air can be constricted, which can lead to snoring. It’s almost like playing a guitar that’s out of tune. Strum it once, and it won’t sound good at all. But, tune the guitar, and it’ll sound beautiful. The same holds true for your back and neck — when they are not aligned, it’s painful (and you might snore). It is always important to pinpoint your exact issue from among the many causes of snoring. You can talk to a doctor or even try a sleep study. Or, you can test out different solutions (a snoring pillow included) until you discover what takes care of the snoring. For example, if you try a snoring pillow and find that it works, you will know that your cause of snoring was mostly likely alignment issues. Essential oils are a bit of a new-age solution for a wide range of health issues. It comes as no surprise that some users of essential oils claim that certain strains can eliminate snoring. Are essential oils dependable for stopping snoring? Only you can find out by trying them for yourself. This is just a sample of the many kinds of essential oils described as helping with snoring. But, if you’re considering essential oils as an option, do a little bit of research to find one that really helps with what you think is causing your snoring. Of course, these essential oils won’t directly stop your snoring. 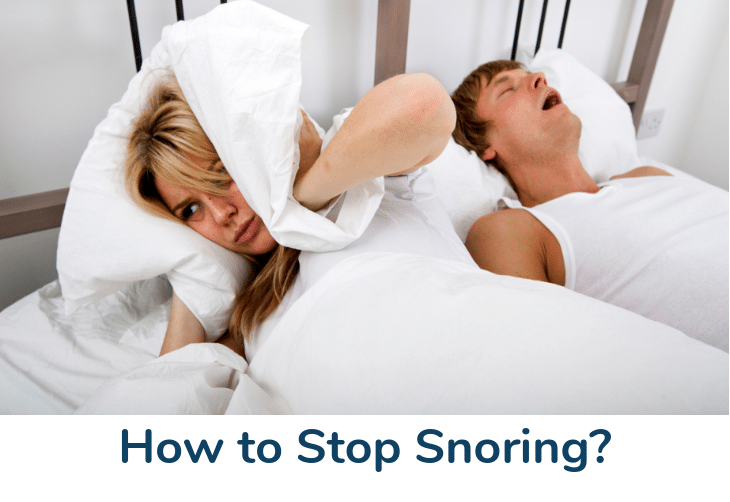 Rather, they are supposed to help by addressing the underlying causes of snoring. If your throat is constricted, find an essential oil that helps it loosen up. If your nasal passages are closed, find one that helps open them up. Given that essential oils are relatively new to the remedy scene, there’s very little research on their effectiveness or oversight of their manufacturing. Do a little bit of research on what different essential oils can do, and then find one that helps alleviate your direct cause of snoring. One cause of snoring is sinus and allergy issues. If you have a runny nose or congestion due to sinuses or allergies, it’s likely that air will struggle to pass in and out of your body — which causes snoring. Just like extra tissue, a lack of muscle tone and misalignment can lead to snoring, so too can mucus that’s clinging to your air passageways. Make sure you’re taking some sort of medication before bed, and ensure that it’s not a medication that will keep you awake. In fact, it might be best to look for a “PM” version of some medication that can help you stay asleep (as long as your physician approves, of course). You may find that simply taking the right medication before bed can help reduce your sinus and allergy issues, and help you stop snoring and get better ZZZs. Of course, there are other ways to address allergies, too. Consider investing in a hypoallergenic pillow, especially if your allergies get worse at night. Pillows and bedding naturally pick up lots of dust and mites — things that cause allergy problems. So make sure you are washing your sheets and pillowcases regularly. Always be careful how you mix even over-the-counter medications with prescription medications. The last thing you want is a dangerous mixture as you seek to put an end to your snoring. Doing a little research – and certainly talking to your doctor – should clear up any doubt before trying sinus and/or allergy medication to quit snoring. As noted above, alignment can be a serious cause of snoring. When your back and your neck aren’t properly aligned, your airways get turned and constricted, which makes it hard for air to flow freely — a leading cause of snoring. But, before you invest in a snoring pillow to help realign your body, try sleeping in a different position. Perhaps you’ve been a side sleeper all your life, but now your snoring has become overwhelming. Or, perhaps you’re a long-time back sleeper, but you’re ready to be done with your snoring. Trying a different sleeping position might be the key. Some people simply can’t fall asleep in anything other than a comfortable position, though. For example, you might be most comfortable sleeping on your back, but back sleeping causes your tongue to relax too much — leading to snoring. If you simply can’t try side sleeping, opt for the snoring mouthpiece mentioned above. It’s all about trial and error. You must keep trying different things to find what works for you. If a different sleeping position doesn’t work, try something else on this list that sounds like it would address your issue from among the many causes of snoring. Eventually, you’re going to find the perfect remedy that meets your needs and that addresses your snoring symptoms. Weight gain is one of the most prominent causes of snoring. When you gain weight, several things happen. First, the additional weight can begin to constrict your throat, which in turn leads to snoring. And, weight gain also means that your muscles will become less toned, which leads to additional neck tissue that can vibrate, which is another aspect of snoring. The answer to these problems is weight loss. 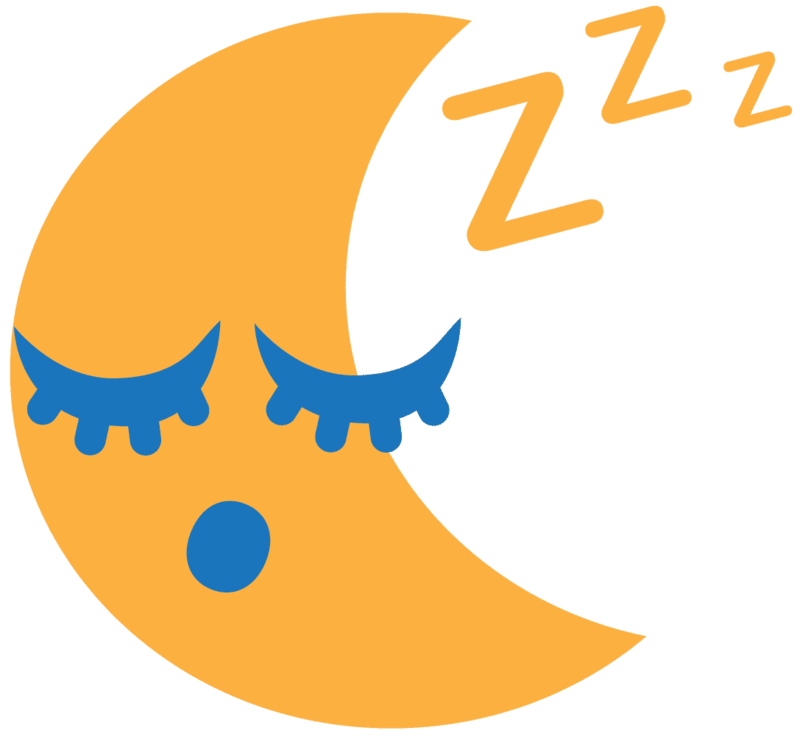 Simply losing weight can often help snorers reduce the amount of noise they make during the night while also getting better sleep. Focus on weight loss, especially if you had no snoring issues before putting on some extra pounds. As an added bonus, consider doing some exercises that target your neck area. Exercise and weights can help tone up muscles that have lost their shape. When you tone up neck muscles, there’s less tissue to vibrate — and less of a chance that you’re going to be a snorer. And there are so many other things to love about losing weight. Yes, you might quit snoring, but you’ll also be taking a step toward leading a healthier life and being the best possible you. Specific behaviors can often be the cause of snoring. For example, after you’ve had a little bit to drink, you may find that you snore after going to bed. That’s because alcohol can help loosen up your neck muscles and tongue, which can constrict the passage of air through your mouth, nose and throat. If alcohol is indeed the cause of your snoring, it should go away the next time you fall asleep without drinking anything. Smoking can be another cause of snoring. Over time, cigarette smoke can do all sorts of damage to your throat and nasal passages, which can sometimes create the conditions needed for snoring. Yes, you can do permanent damage while smoking over time, but you can also reduce the amount of smoking-related snoring if you quit cigarettes altogether. Some medications can also enhance the possibility that you will snore. Medications have all sorts of side effects, and you never know when one of those effects might relax and loosen the tongue or other muscles to a degree at which you begin to snore. Above, we mention how sinus and allergy medications can help you quit snoring, but we also mention the precautions you should take when starting a new medication. If you stop an existing medication, take those same precautions seriously. It’s always best to consult a doctor in these cases. If you suspect that alcohol or cigarettes are the cause of your snoring, stop drinking and stop smoking. It’s that simple. If you feel that a specific medication is making you snore, ask your doctor. Your doctor may be able to recommend a similar medication that does not cause snoring. Never stop using a medication (especially a prescription medication) without consulting your doctor, even if you suspect stopping would also end your snoring. No two human bodies are exactly alike. And, sometimes a certain human body is simply prone to snoring, whether due to its alignment or a throat or nasal passageway that is too small. In these cases, where snoring is as close to natural as possible, surgery is always an option. 1. Palate Surgery: Tissues in your soft palate can sometimes get in the way of your airflow. When air runs over these soft palate areas, they vibrate to make snoring noise. Surgery can reduce this tissue and help prevent you from snoring. 2. Somnoplasty: A somnoplasty is a different way to reduce tissue. It focuses on the soft tissue of the back of the throat and/or upper airway rather than the soft palate. A doctor can provide a consultation and help pinpoint which area inside your throat is the problem. 3. Tonsillectomy: Removing tonsils can sometimes be the elusive solution that you’re looking for. Similarly, removing adenoids may help reduce the occurrence of snoring. 4. Upper Airway Stimulation: This is a little more intensive. You can have an upper airway stimulation device installed in your body that helps regulate the passage of air, ensuring that snoring remains limited. You may get one of these procedures purely to help with snoring. Or, you may have one of these procedures done to fix something else — only to find that a reduction in snoring is a nice additional benefit. It can’t hurt to have a consultation with a specialist. Talk through your options as well as the risks, and then decide if one of these procedures is the right thing to do to alleviate your snoring issues. Those who suffer from sleep apnea often have terrible issues with snoring. One of the solutions is getting a continuous positive airway pressure (or CPAP) mask that does a number of things. First and foremost, CPAP masks are used to ensure that the sleeper is getting enough air. One of the challenges with sleep apnea is that the sleeper often goes extended periods of time without breathing, which can lead to death, in many cases. The CPAP mask takes care of that possibility, delivering air even when the body is trying to pause breathing. And, second, one of the side benefits of a CPAP mask is that it stops snoring in many cases. Because there’s air moving more freely in and out of the body, the conditions that once caused severe snoring are eliminated altogether. There’s no guarantee that a CPAP mask will stop snoring. After all, as noted above, there are many different causes of snoring. For example, if you snore because of poor alignment or allergy issues, there’s little that a CPAP mask can do to help that. But, if airflow is your one and only issue, you may find that a CPAP mask is your ideal solution. Once people start using CPAP masks, it’s often a life-changer for them. In fact, many who use CPAP masks are suffering from sleep apnea, and it’s incredibly dangerous for them to spend even one night without wearing the mask. One of the victims of snoring is the spouse or partner who sleeps in the same room. In fact, studies show that those who sleep with snorers lose on average an hour of sleep each night, and that they can sometimes wake up as many as 21 times in an hour. That’s a lot of lost sleep, and it also means that someone who does not snore can lose quality of life and go through each day with less energy than they would have otherwise. And that’s no way to go through a day when you have to work and get things done, much less a way to go through life. There are solutions, though, and you don’t even have to start sleeping in separate bedrooms. First, try using earplugs that are designed for sleep. Over time, you may even find that earplugs are nice things to have at night, snoring aside. They can help reduce any distractions and even help you stay asleep during storms or busy nights in urban areas when you can hear traffic and other activity. The best thing to do for snoring is to stop the snoring at the source. But, if you’ve tried a number of different things and nothing seems to be working, help your spouse or partner by getting some earplugs or something similar to help them get better rest. Why do people snore? It’s a question that has vexed many as they seek better sleep and more energized days. It’s often hard to know the specific causes of snoring, but it’s far easier to find solutions — tactics you can use to stop snoring altogether. Start by trying some of the less intensive options listed above, like using a snoring pillow or snoring strips. You may be pleasantly surprised to find that one of these products can take care of your problem. For more intensive snoring cases, turn to your primary care physician. He or she can point you in the right direction and recommend the best course of action to take. No matter what you decide, just make sure you take action. Choosing to cure your snoring can be one of the greatest gifts you give to yourself and the people who live with you. Brad is a freelance writer and journalist who lives and works in Austin, TX. Away from work, he enjoys running, reading, watching baseball and spending time with his family. On rare occasions when he gets the chance, he loves nothing more than a long nap on a Sunday afternoon. Lunexia Review: Does This Sleep Aid Really Work? ZenSleep Review: The Best Anti-Snoring System on the Market? SnoreMeds Review – Is SnoreMeds Your Perfect Fit?